What a way to start off a Saturday: a good nights sleep, hazelnut coffee, toasted bread with a bit of peanut butter, and playing with my stamps!! Can life get any better? The Flower Collage Trio stamp set from The Angel Company is another favorite. (I'd never be able to choose just one favorite by any means!!) 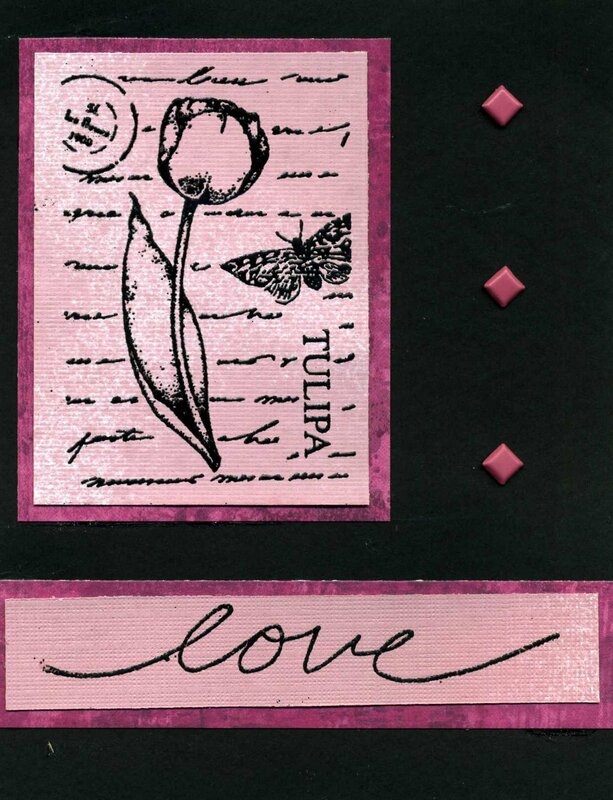 Walnut inks, embossing, and pink and black make this a simple yet elegant card. The saying is from The Angel Company's Be Authentic greeting set. Cyber hugs to all of you - enjoy your Saturday as much as I am!! A whole day to play! !